- 50,000 Rupees limit for male passenger gives you 20 grams of gold on passenger, While ladies will can get 100,000 Rupees gold ornaments, If you have a child more than 1 year, He or she is also applicable to bring in duty free. Gold Biscuit, Bullion or Coin is not allowed in duty free, You need to pay duty tax on it, Only Gold ornaments or Jewelry is duty free. You can bring up to 1 Kg of Gold if you want to pay duty tax, It can be in any manner, Gold coin, Biscuit or Jewelry. But you must need to stay 6 months abroad to bring it. 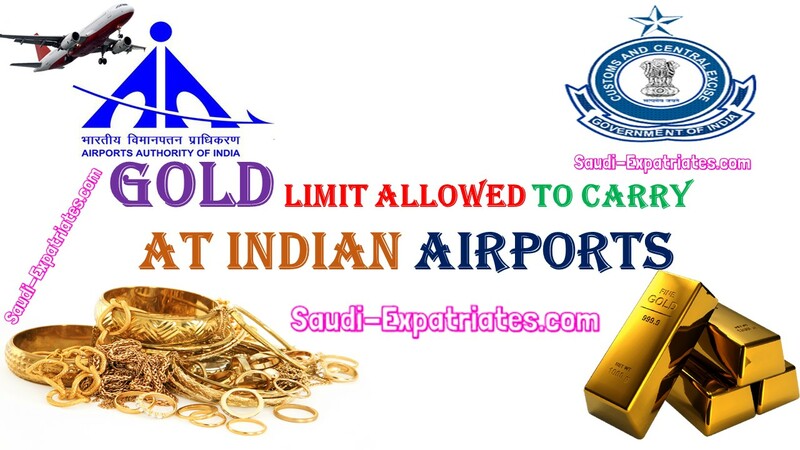 If you carry gold more than the specified limit, Then you must need to specify in customs declaration form, If you caught with more than the specified limit of gold without mentioning in customs form you will be asked to pay a high penalty or you may get arrested.